Break ke baad hazir hai Pav Bhaji ke saat !!! Finally!!!! I’m back with everyone’s favorite street food. Famous street food everyone crave for, I still remember those sundays jam packed beach road with crazy crowds and lined up chaat wala’s with their mobile carts with all those delicious hot and steaming pav’s, bhaji, chaats and all different kinds of Bajji’s. Pav/Pavv/Pao Bhaji is a fabulous dish prepared with wholesome vegetables and spices traditionally serve with pav (bread). There are lots of different ways to prepare bhaji. Here is my version. Pressure cook potatoes, carrots and peas. Cook and mash. 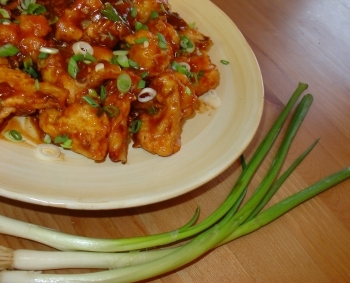 Heat oil in a deep skillet add onions, ginger garlic paste and saute’ until the onions turn soft and translucent. Add grated cauliflower , capsicum and cook until soft. Now add pav bhaji masala saute for a minute, add chopped tomatoes and cook until the tomatoes turn soft and mushy, stir in mashed veggies add salt, little water ( around 1/4th cup). mix well. cover the lid and cook on medium low flame for 8-10 mins. Adjust the taste( add masala or salt if needed) and consistency . Stir in chopped coriander leaves and butter (reserve some for garnish for serving) turn off the heat. Heat tava grease it with butter or ghee (clarified butter), slice/slit half horizontally . Place the buns open and face down on the pan, and cook till golden and crisp. Flip and repeat on other side. Serve Pav and Bhaji with lemon wedges and raw onions. Enjoy anytime any day!!. 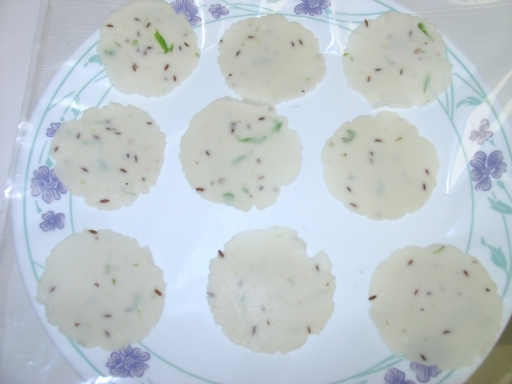 As a South Indian, I only knew that sabudana is used to make pappadams (saggu vadiyalu) and deserts (payasam / kheer). My mother-in-law introduced me to this first. She is a great cook. When she told me that she is going to make vadas with sago I was little unsure about the taste but I was curious at the same time to see and try these vadas. To my surprise they were absolutely delicious. 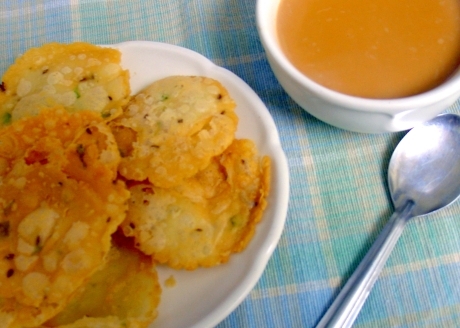 Sabudana vada is a popular and traditional snack from Maharashtra, India. Sabudana is widely used ingredient in North western part of India, kichidi and vada are most common dishes made during fasting time. It is very easy to make with very little preparation. Here it’s getting cold & chilli in the evenings and what more could be better than hot and crispy fried snack and garam chai( hot tea). 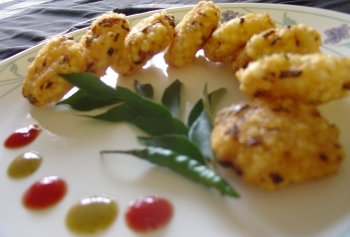 In general,sago vadas are little heavy when compared to other fried snacks. To keep it on the lighter side I modified it to suit our taste and tummy. Soak the sabudana (sago) in water 3-4 hours. It will puff up and become translucent. Drain excess water and mix the sabudana with all he other ingredients and form a dough (more like a chunky paste) except oil. Add salt to taste. Divide the sago mixture into equal-sized balls and flatten slightly to form patties. Heat oil in a pan/kadai and fry the patties until golden brown. Drain on paper towels and serve with favorite chutney/ ketchup and garam chai( hot tea). 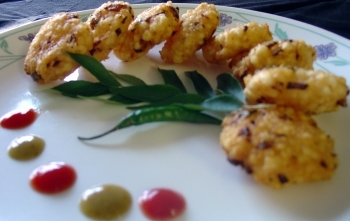 Do not add water to mix as it contains moistures and adding extra water will make it thin and will be difficult to fry. You can shallow fry instead of deep frying. If you are shallow frying, instead of mixing flour, use the flour to coat the vada’s(like breadcrumbs) also instead of medium potato use large potato. You can even soak sago overnight. Its festival time and back at home in India this time the house will be busy with guests. Tea and snacks are the general entertainment almost every evening. 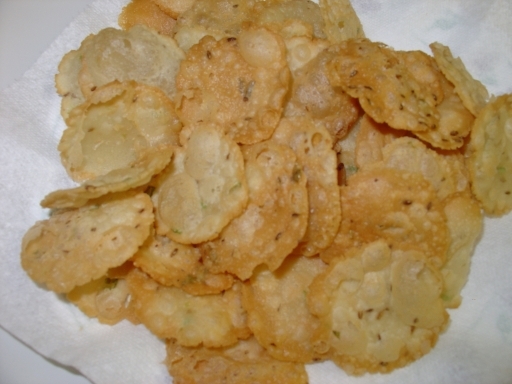 Jantikalu is one of the most common snack made at home. 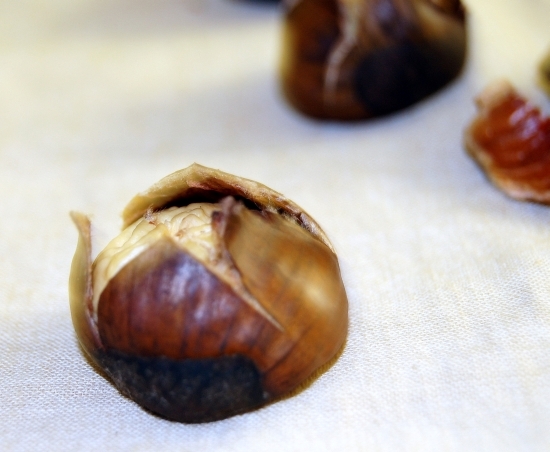 Chekkalu are another common snack made during festival and holiday season. There are different varities, and each family has their own recipe. 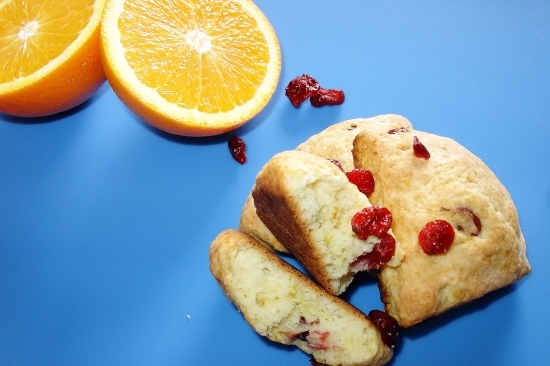 This simple snack is made with rice flour. Channa daal (senaga pappu) can be added for extra crunch. Those are called pappu chekkalu. 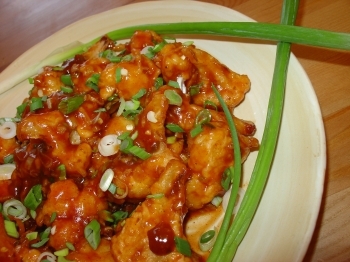 Some add additional ingredients like ginger, garlic, curry leaves, sesame seeds and onions. I knew this recipe but perfected it recently when one of my friends mother-in-law visited us and gave me few additional tips. Bring water to boil and add cumin seeds, chilli paste, salt and turn the heat to low. Slowly add flour to the water while mixing well. Add butter and mix again. 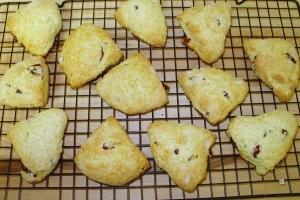 Make sure that there are no lumps. The dough should be like samosa dough. 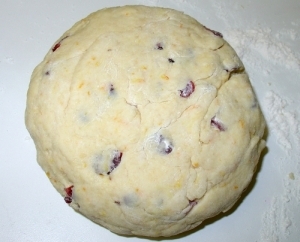 Now shift the dough on to clean surface, adjsut the seasoning if needed and knead well. 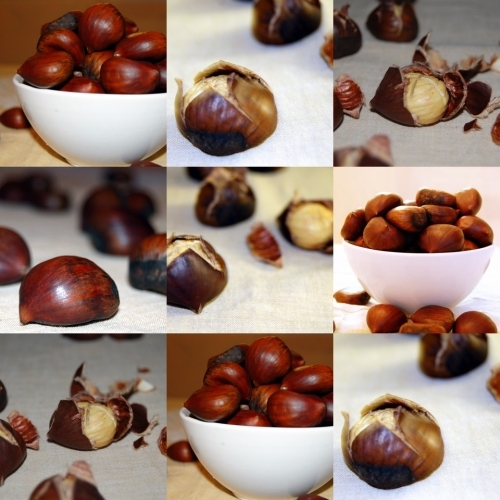 Make the dough into small balls (25 cents size), I use ziplock bag (cut on 2 sides and opened it like a book) to flatten the dough. 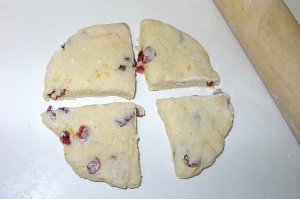 Now place the dough in the middle and gently press falt. I use a steel glass to press it. A roller can be used too. Heat oil in a deep kadai. Once the oil is hot enough, carefully peel the dough and slowly drop it in oil and fry till golden brown. Transfer on to paper to absorb excess oil . 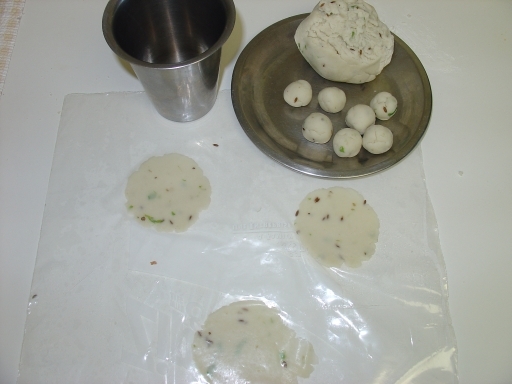 To keep the chekkalu flat, while frying press them with back of the spoon or the easy way is to prick the dough with fork few times before frying. If you are adding channa daal then add them along with water and cook. If you are adding crushed onions and gralic then use cold water to mix the dough. Add 1/4th cup water and mix as onions contain moisture. Too much water will make the dough soft. If you are adding sesame seeds then add them at the end along with butter. Always add cold butter to the dough. Cold butter makes the dough flakey and crispy.